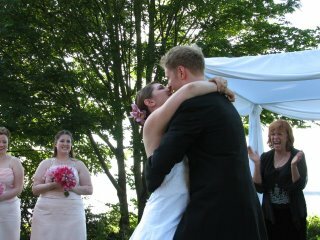 My high school friend Robin married his university belle Lindsay this last Friday (June 23). Here is one of my favourite shots of the day. I love each expression caught here - the cheery bridesmaids, the enamoured newlyweds and the joyous officiant that just married them.